Day 8. For my birthday at the end of March, I decided that I wanted to plant something in our backyard. My husband had spent years before we were married tearing out neglected plants and most recently an empty shed. The yard emerged as a tabula rasa. Certainly a challenge! For his birthday in February we planted a tree in order to create shade. 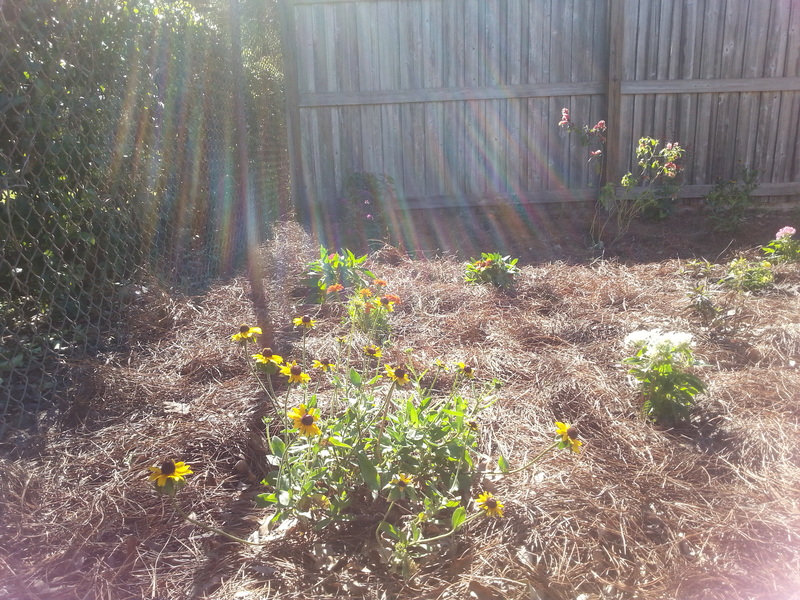 My “something” is metamorphosing into a butterfly garden, created in memory of my late mother who loved them. Each time I have seen one over the years, I feel as if she is paying me a visit. The act of planting is also an act of persistence for me. In spite of the current climate (no pun intended) and my continuous activism, I believe it is vital to go on joyously living into the new life I am creating here. Incidentally, the daily word prompt for the challenge, was “HEAL”. Thank you to the folks at WordPress for the help! As usual I couldn’t help myself and strayed into controversy. Maybe I should stop blogging.